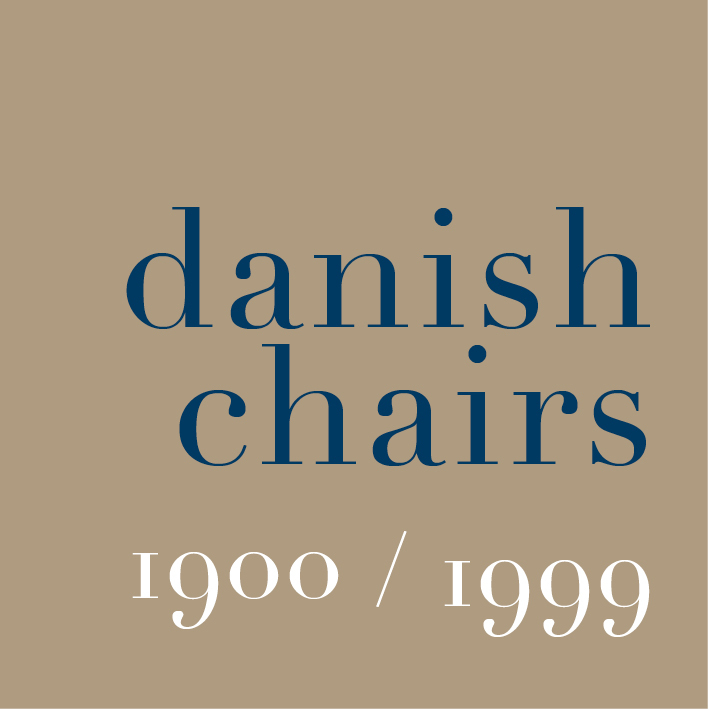 The 1950s and 1960s are considered to be a Golden Age for furniture design in Denmark - a period when at least five major designers were working to create furniture of the highest quality and designs that explored truly modern shapes, and modern forms. These designers experimented with new materials and new construction methods but, crucially, they all had a formal training, either as architects or as furniture makers, through the school of Arts and Crafts, and most were involved with the Copenhagen Cabinet Maker’s Guild. Only with a sound training and only once they understood the skills and techniques of older and well-established craft methods, could they exploit and adapt designs to create new forms. Arne Jacobsen, born in 1902, was the eldest of these major designers of the post-war period and he is probably the best known of these designers in England. His first designs, produced in the 1920s, are conservative in style, close to the work of Kaare Klint, but this reflects his training and, in part, the length of his working career. He persuaded clients who commissioned houses to also let him design major items of furniture. He was accomplished at drawing and produced watercolours of his schemes that certainly attracted the attention of juries in competitions. The drawings gave a clear impression of what the finished building would look like. It is curious that he took the opposite approach with furniture design: he rarely produced drawings but made slightly rough initial wire-frame model. The drawing office of the manufacturer then produced working drawings and models that went through extensive revisions. Jacobsen also chased standards through the production process and insisted that pieces were finished by hand so he ensured that his industrially-produced furniture had a technical quality and level of workmanship that could match the quality of the best handcrafted pieces. The Ant Chair designed in 1952 is deceptively simple but depends on a complex and sophisticated new technique developed by Fritz Hansen Eftf with steamed plywood bent in more than one plane. This complex process is crucial for making the seat strong but light and flexible enough to be comfortable but rigid enough to provide support. The design of the metal legs and the way they are fixed to the shell is equally complex. Cheap imitations and light plastic shells are no equivalent. In fact the development costs were so high that when Jacobsen first approached Fritz Hansen with the design and the suggestion that they put it into production they were initially reluctant and only proceeded when the company director of Novo pharmaceutical company saw the design in Jacobsen’s office and agreed to commission 400 for their new company dining room. One of Jacobsen’s best known works is the hotel and terminal built in Copenhagen for the airline SAS that was designed and completed in 1960. There have been extensive alterations over the intervening years but one room in the hotel, room 606, retains the original colour scheme and furniture of the initial design. For the original scheme, the Swan Chair and Egg Chair were both designed in 1958 and are both still in production. The shells of both chairs were made with Styropor - an expandable polystyrene invented by BASF in 1951. “Baked” in a mold, the material expands and hardens when the mold is heated. As a consequence, these chairs are strong but remarkably light. The shells are finished with a number of layers of upholstery and were given various designs of legs or swivel mechanisms. Jacobsen worked in England. Between 1964 and 1966 he designed the first buildings for St Catherines College, Oxford and produced designs for the fittings and furniture including high and low-backed chairs, tables, cutlery and lighting.